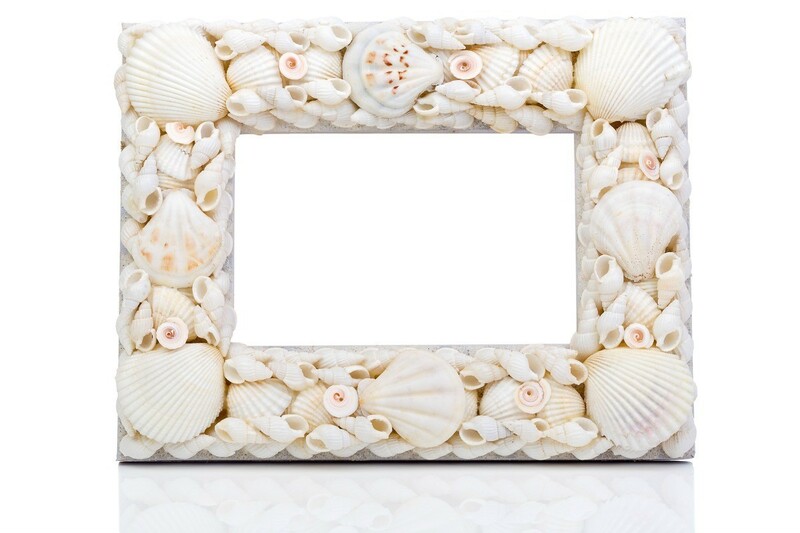 Use your seashell collection to create a beautiful picture frame. 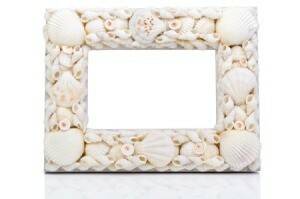 This is a guide about making a seashell picture frame. Ever collected shells at the beach or just admired their natural beauty? Frames decorated in shells are always distinct (no two shells are the same), stimulate personal or collective creativity, and evoke a peaceful and harmonious atmosphere for years to come. Determine whether finished frame will stand or be wall-mounted so shell design isn't upside down. Make sure frame is clean. If necessary, use a damp cloth or towel to remove dust or other particles. Place frame on its back (photo side up) throughout entire project. Start the design process by outlining the frame with various shells. DO NOT use glue at this time. Tip: Use the larger shells first as a foundation from which you can add layers and patterns with smaller shells, as well as fill in gaps. When the outlined layer of shells is placed on the frame, pick up one shell at a time to glue. Hold the shell upside down while squeezing the bottle of glue. Make sure the shell is completely coated as it is pressed onto the frame. White and all-purpose glue will dry clear as long as you don't use dirty items (i.e. cloth, fabric, hands) to wipe up excess splurges. When all of the shells are glued on the frame, allow for sufficient dry time to begin gluing further layers. Dry Tip: Lightly wiggle a couple of shells approximately an hour later. If any shells shift (remember, just a gentle touch), wait at least another hour and test again. Note: Using excess glue will take shells longer to dry. Once the last shell has been glued, give your frame ample time to dry. Dry time will vary based on the number of layers, amount of glue used, and other factors. Use the Dry Tip (above) or for a more secure bet, wait at least 6 hours (or overnight). Finally, your frame is dry! Carefully turn it over and remove the backing and sample photo. Clean the inside of the glass, if necessary. Place an image that best signifies the meaning of your new frame. Your image doesn't have to be limited to a photo; it can be anything from a drawing, postcard, magazine cutout, etc. Carefully put your frame back together and place it in a location that you can admire it from. I've bought picture frames (with wide borders) from the Goodwill or other thrift stores. I use craft paint (any color) to paint them and then a satin varnish. Then I hot glue a variety of shells to the frame. I use shells I pick up at my beach and the frames cost only a couple dollars. Sometimes I insert a meaningful beach picture or I will leave it empty for the receiver to fill. You can also bleach (dilute with water) the shells to make them look more weathered. Paint the frame with a true white paint. Then do a second coat of off-white or cream. When both coats are fully dry, lightly sand the top coat so that the white and even wood-grains show below. Hot glue the bleached shells on the worn frame for a fully weathered look. 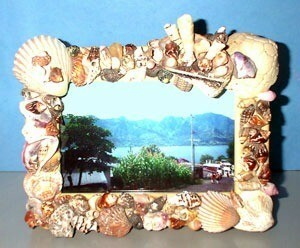 I am trying to decorate a plain wooden photo frame with sand and shells collected from a special holiday. I intend on covering the plain wood with sand and then placing the shells on top of the sand. Has anyone got any ideas how this might best be done? I covered a frame with shells using E-6000 (glue). I didn't use sand however-too big a mess! But you might consider putting the sand in a small bottle, and affixing that to the frame.